Iodine Global Network (IGN) - 6. What happens if we get too much iodine? In the 1940s, Wolff and Chaikoff reported that high iodide exposure in rats resulted in a transient inhibition of thyroid hormone synthesis lasting approximately 24 hours (now known as the acute Wolff-Chaikoff effect), and that with continued administration of iodide, normal thyroid hormone synthesis resumed (escape from the acute Wolff-Chaikoff effect). The mechanism responsible for the acute Wolff-Chaikoff effect may be the generation of intrathyroidal iodolactones or iodolipids which inhibit TPO activity. Escape from the acute Wolff-Chaikoff effect occurs due to an inhibition of NIS synthesis, a reduction in intrathyroidal iodine, and a decrease in the iodine-induced inhibitors of hormone synthesis. Iodine-induced hyperthyroidism, or the Jöd-Basedow phenomenon, represents a failure of the acute Wolff-Chaikoff effect. It occurs most frequently in individuals with a history of nodular goiters, which are most common in iodine deficient regions. In affected individuals, the nodules may escape the body's usual controls, and they can start making too much thyroid hormone when their dietary iodine increases. Transient increases in rates of hyperthyroidism have been reported in historically iodine deficient regions with the initiation of salt iodization. Iodine-induced hypothyroidism occurs when large amounts of iodine block the thyroid's ability to make hormones. Risk factors for iodine-induced hypothyroidism include underlying thyroid autoimmunity such as Hashimoto’s thyroiditis or a history of partial thyroidectomy. Iodine-induced thyroid dysfunction may occur after exposure to amiodarone, an antiarrhythmic medication that is 37% iodine by weight, or after exposure to iodinated radiographic contrast agents. 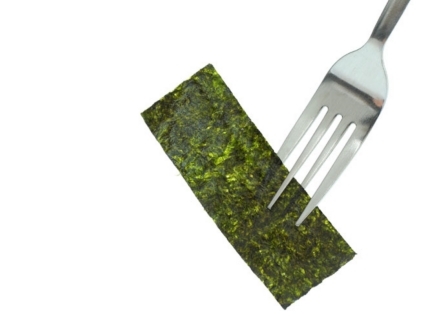 Chronic excessive iodine intake may also result from ingestion of foods or supplements with very high iodine content such as kelp, or where there is high iodine content in drinking water. Chronic excessive iodine intake may result from ingestion of foods or supplements with very high iodine content, such as kelp. Individuals vary widely in their tolerance to iodine. Most people who have previously been iodine sufficient can handle large amounts (at least 1 mg of iodine daily) without adverse effects, but there are exceptions. People with a tendency towards so-called autoimmune thyroid diseases, such as Graves' disease or Hashimoto's thyroiditis, or who have family members with these problems, may be more sensitive to iodine. In fact, high iodine intakes in a population are associated with an increased incidence of these autoimmune thyroid diseases. Also, high levels of iodine in the population may increase the incidence of papillary thyroid cancer, although this is not well established. Fortunately, papillary thyroid cancer is usually a mild form of cancer and rarely causes death. 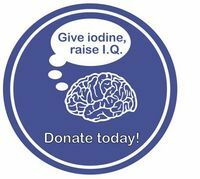 Iodine excess is undesirable, but its consequences are not nearly so severe as those of iodine deficiency, because the latter affects human development and can produce permanent brain damage. Properly iodized salt will rarely add more than about 300 mcg iodine daily to the diet. Therefore, concern about iodine excess is not a reason to stop or avoid consumption of iodized salt. Below are the tolerable upper intake level for iodine (micrograms per day) established by the Scientific Committee on Food, European Commission, and the U.S. Institute of Medicine.